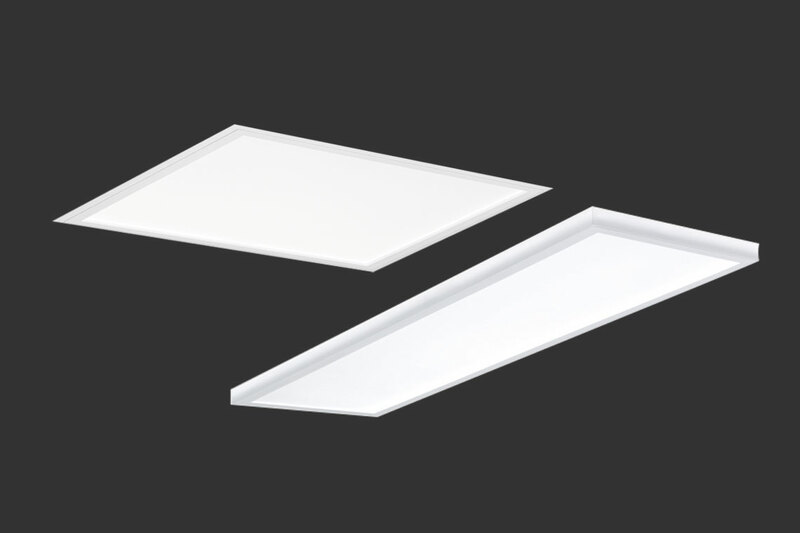 Recessed LED luminaires are standard for office lighting. In addition to costs and quality, the focus is increasingly on flexibility. Solutions are needed that can be flexibly adapted to the various applications in terms of appearance, construction design and method of installation. 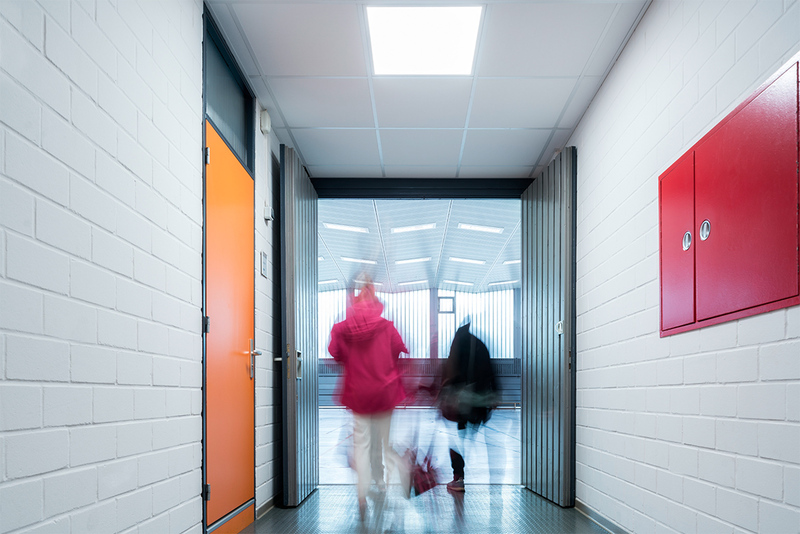 The next generation is here: the Siella LED family has been an attractive entry product into the world of modern office lighting for many years, and is now in its fifth generation. 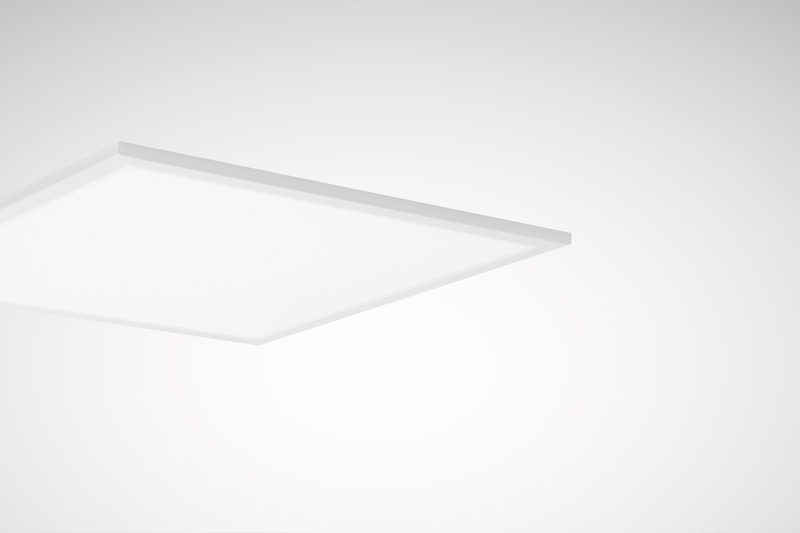 Siella LED is available either as a square recessed or rectangular surface-mounted solution with two different optics – and with its simple design and pleasant light it blends harmoniously into any office environment. The material quality and quality of light have been further improved and installation and operational benefits have been optimised. Low investment costs and high energy efficiency of 110 lm/W make the Siella G5 LED an economically attractive solution that pays for itself within a very short time. Compared to the previous generation, the Siella G5 LED with 3,600 lm now offers an even better luminous flux package with the same high energy efficiency. 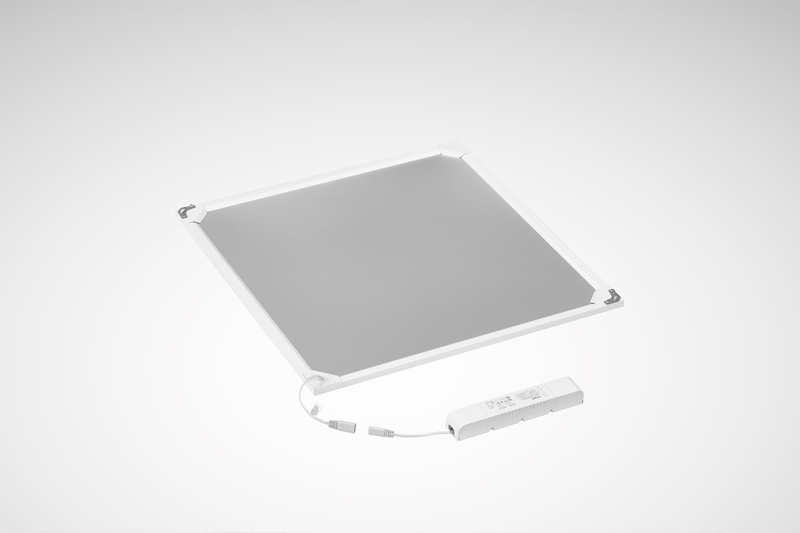 The new generation of Siella G5 LED has an external electronic control gear unit. This makes the luminaire even slimmer than its predecessor. 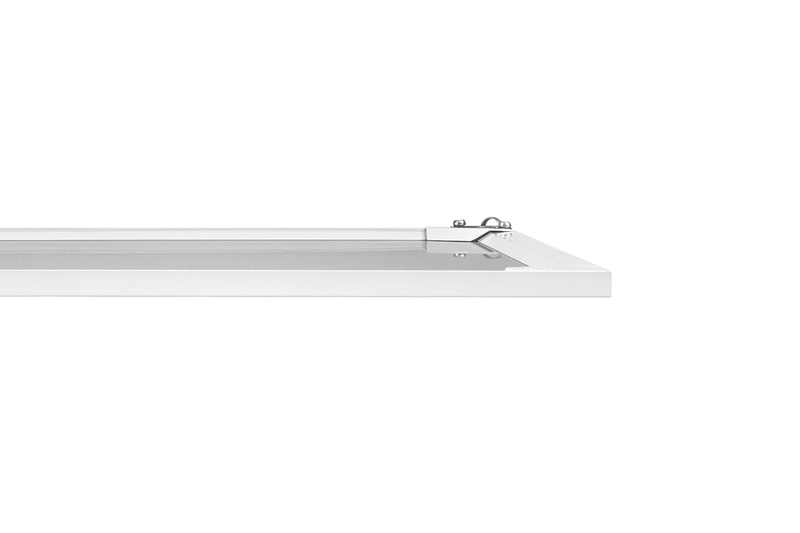 With a construction height of just 13 millimetres, it fits into almost any ceiling void. 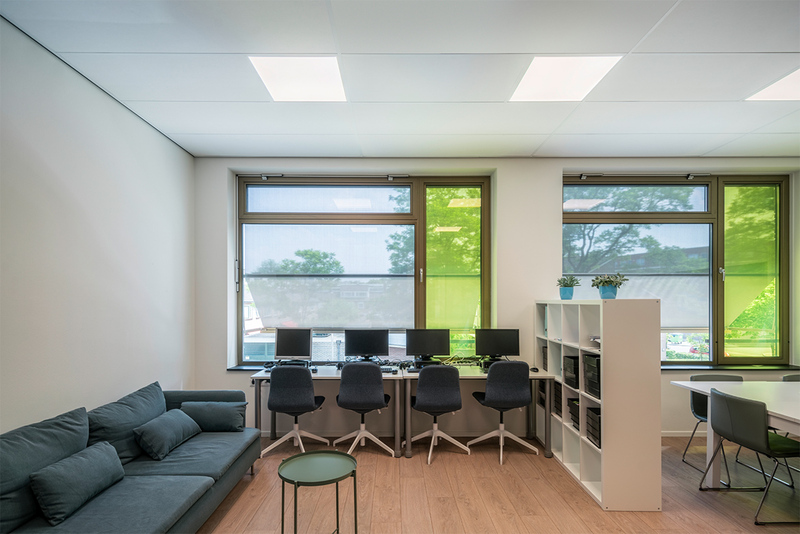 Siella G5 LED is available with two different optics, so that even different office environments can be illuminated using a uniform design vocabulary. 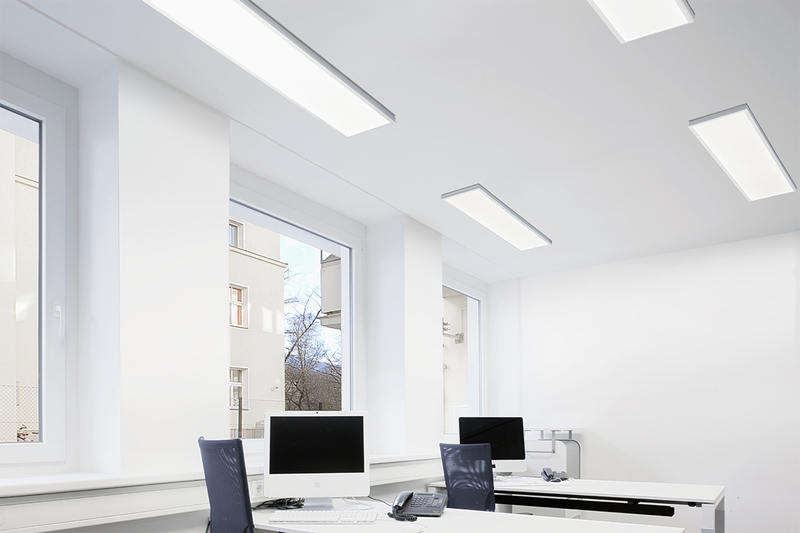 With UGR19 glare control, the luminaire is suitable for the standard-compliant lighting of computer workstations. The UGR22 version is recommended for all other areas. The new feature with UGR19: these versions have a new optical system that achieves glare control without microprismatics. Siella G5 LED UGR19 has a smooth surface instead of the microprismatics which some customers find disrupting. 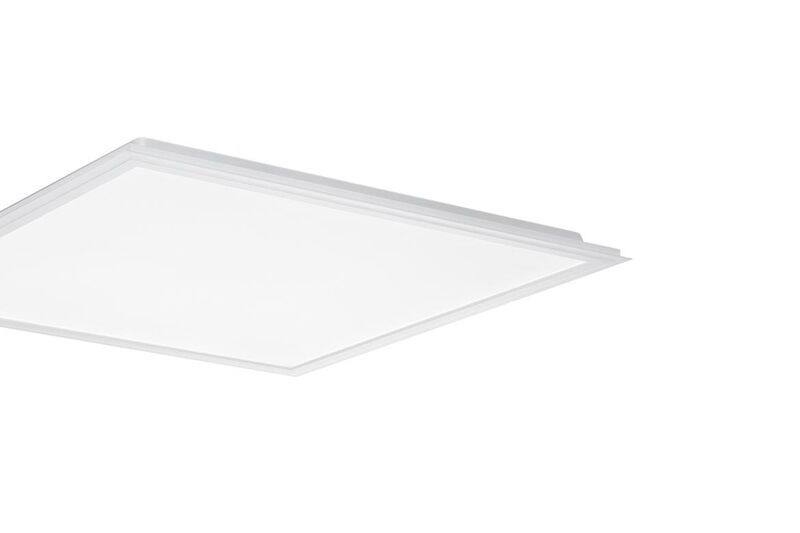 Siella G5 LED can also be used as a surface-mounted luminaire with an optionally available mounting frame. 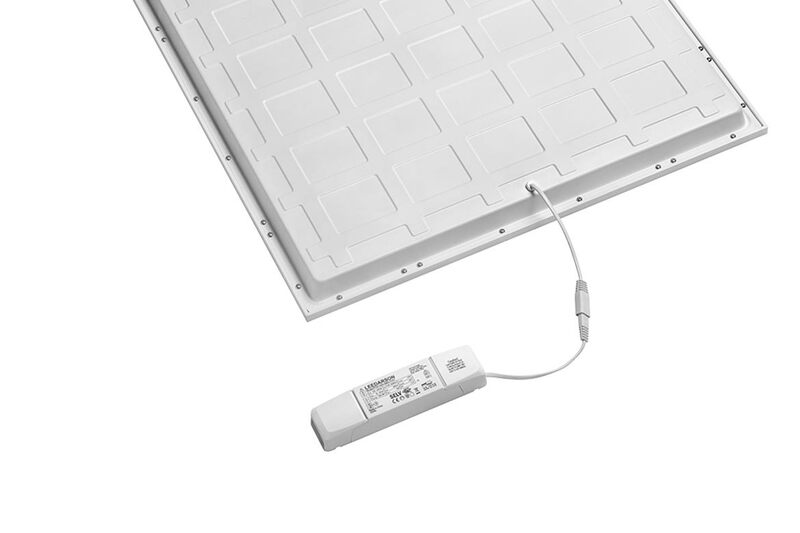 Siella M84 with accessories is also available for plasterboard ceilings upon request. Siella G5 LED is again equipped with the reliable aluminium housing. The high quality aluminium frame increases stability and simplifies handling during installation. The advantage of the now once again external electronic control gear unit: if necessary the ECG can be replaced. The external electronic control gear unit of Siella G5 LED allows for especially simple installation and replacement. 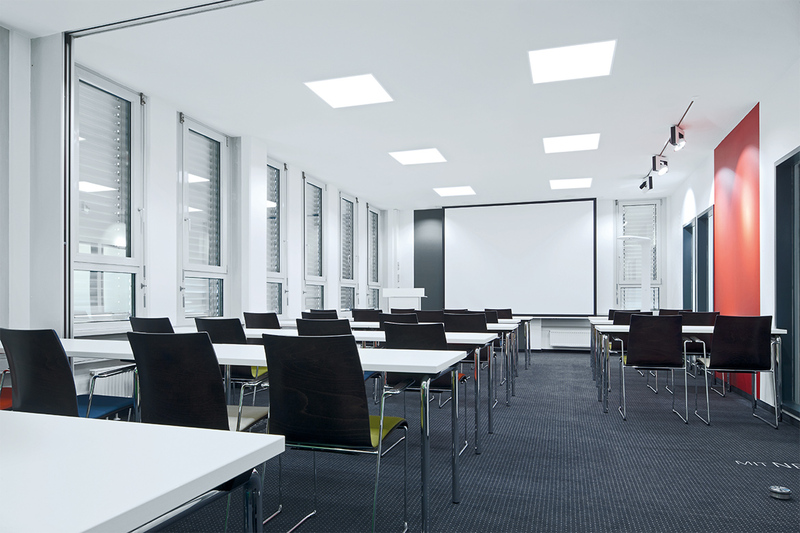 It can be mounted separately from the luminaires and connected to the luminaire via plug & play. A supplementary connection box is not required. 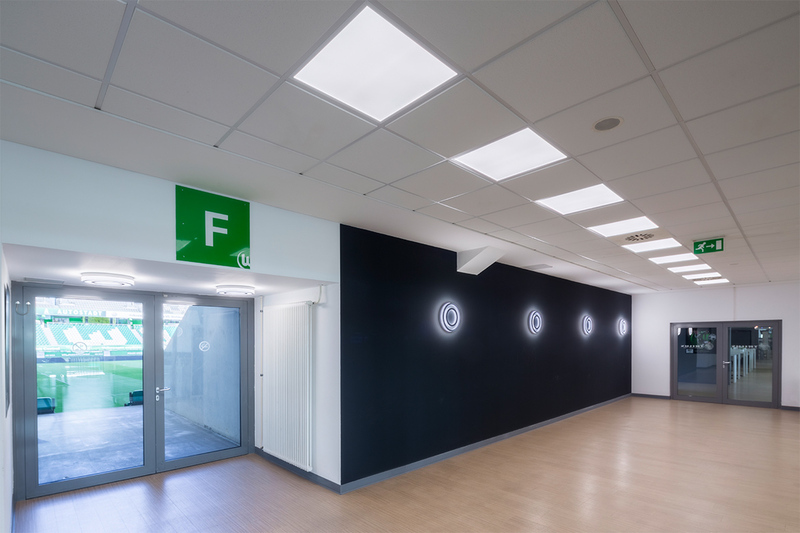 Siella G5 LED is installed flush with the ceiling and blends harmoniously into any office environment thanks to its simple design. In the fifth generation the quality of light has been further improved: the light is pleasantly uniform without visible LED points. The DALI devices are equipped as standard with an optimised touch dim function for simple light control in everyday office use. 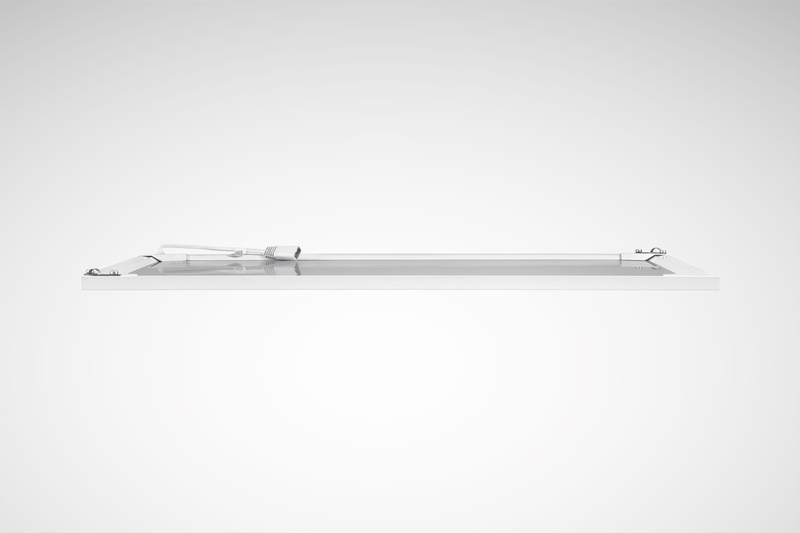 This touch-dim function has been fundamentally revised and significantly improved: with Siella G5 LED, a total cable length of up to 25 metres (push-button to the last luminaire) and the use of 10 luminaires is possible. Low investment costs and high energy efficiency make the Siella G5 LED the perfect solution in the entry-level segment. The material quality, quality of light and advantages in operation have been further optimised in the fifth generation. 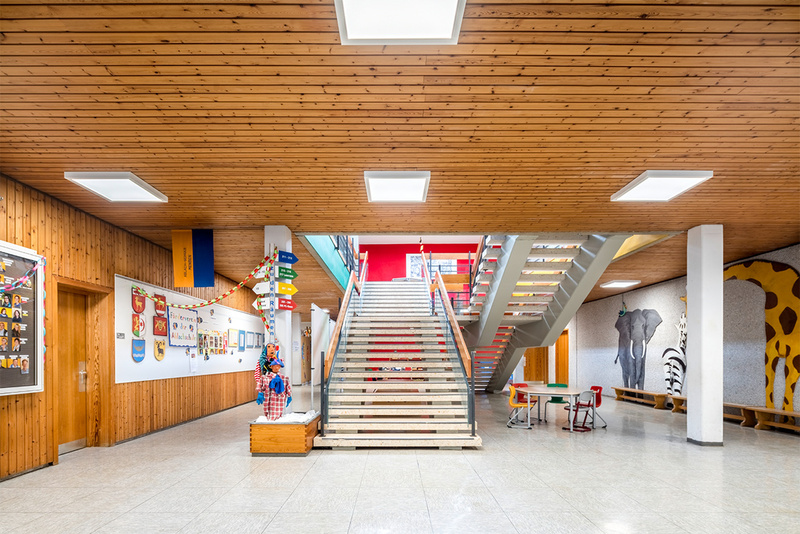 Thanks to its extremely low construction height of only 13 mm, the luminaire fits into almost any intermediate ceiling space.